We provide free swimming lessons and environmental education for clean water stewardship to underprivileged children who live along the earth’s open waters: rivers, lakes and oceans. By teaching the local people to swim and educating them in water preservation, it will open doors to future jobs for them such as lifesaving and swimming instruction. SwimTayka connects organisations in poor waterside communities with qualified volunteer swimming instructors from around the world to develop and promote free swimming lessons for children. 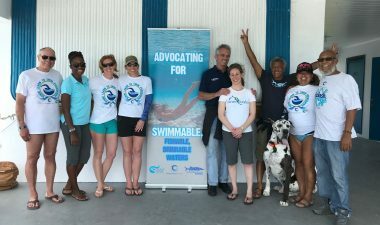 Volunteer programmes run from two weeks up to two months and include instruction in basic water safety, swimming, first aid, and environmental education. A limited number of scholarships are available for qualified instructors. If you think you are eligible for a scholarship, please contact us directly using the contact form below. SwimTayka Promotional Video from SwimTayka.